@Marazza - What OS are you using? Depending on whether you're running Win, OSX, or some kind of Linux, there could be some other decent options for "flipping" a table, or transposing COLs to ROWs, if you need to do this a lot. (See this StackOverflow Q&A for example.) But some solutions are OS dependent. What have you got? Thank you David your answer is very clear. My fault I pasted a link related to Calc however my question was related to Writer. 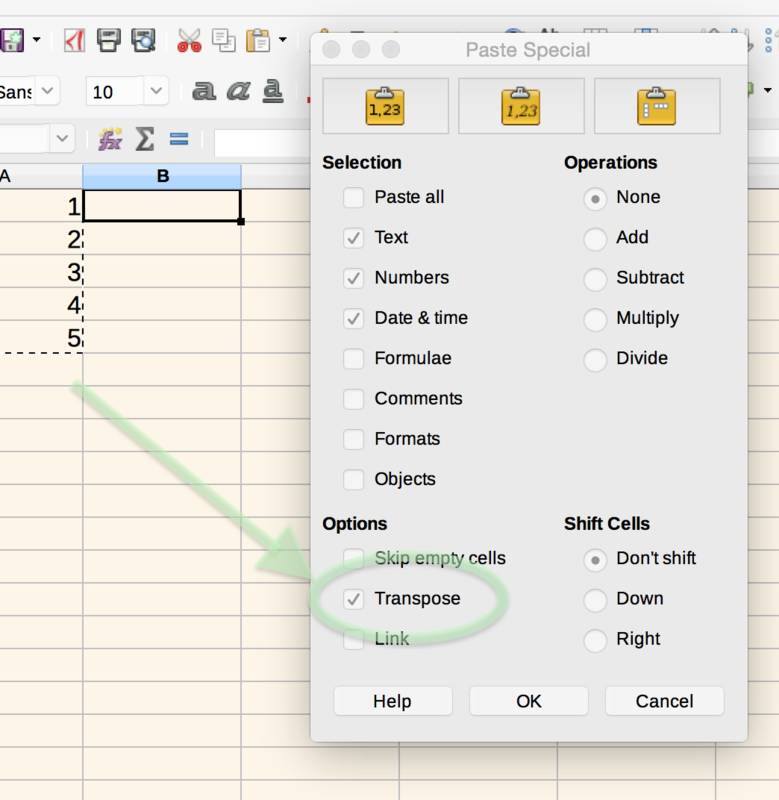 I remember that it was possible to transpose rows/columns in tables in a text document. The Calc function is perfectly working. 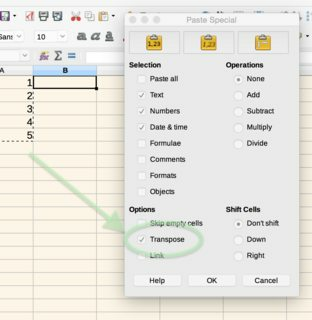 To my purpose I have to work on a text table and not on a spreadsheet. @Marazza - I don't recall that ever being a feature in Writer, and a quick websearch suggests that is the case. There are at least a couple "work-arounds", though, depending on whether your transposing COL to ROW, or the other way around. What is you want to do? Hi David. I have to transpose columns to rows. I made a trial and copied columns in CALC, transposed them and then I pasted back the row as unformatted text in Writer. Then I converted the row in a table using the command convert>text to table. Not exactly a smooth work-around if you have to do that many times. Do you have any alternative suggestion? However I think this a (minor) missing feature. Thanks again for being there.